STOP PRESS: There were a few key changes after the race to the running order in the G57 class. 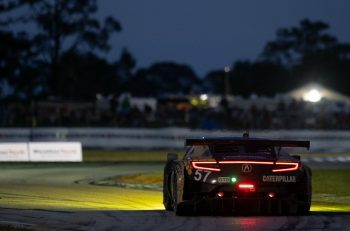 The #52 Simpson Motorsport car did a pit stop in five minutes 10 seconds which should have been six minutes 40 seconds, which meant it was penalised by three minutes. The #55 CWS Ginetta was two seconds short on a stop, and was penalised by four seconds and the #57 car had a six-second penalty but was credited with three minutes, which is race control’s calculation for what having to come in a second time for fuel after the fuel tanker ran dry after taking only 20 litres cost the team. The result was that the #57 moved from sixth overall to third and therefore the class win. Graff therefore took wins in both classes. 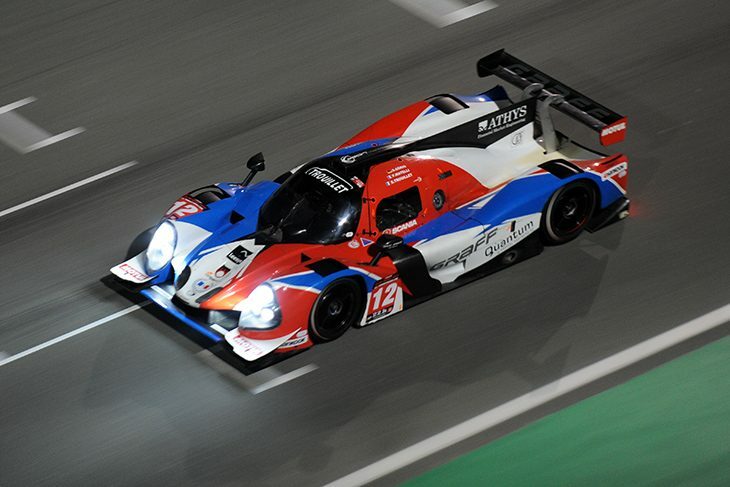 Graff’s #12 Ligier JS P3 of Eric Trouillet, Franck Matelli and Edward Lewis Brauner took its second win out of the three 24H Proto Series races at Dubai in Race 3 which ran into darkness this evening at the Dubai Autodrome. The win was sealed after a stellar performance from Matelli in the final hour of the race, holding the lead, and lapping extremely quickly to prevent any of the faster cars behind reeling him in. Behind, Peter Kox in the Kox Racing Ligier JS P3 came home second, 54 seconds back after starting the final hour in third place and closing in and passing Daniel McKay’s Century Motorsport Ginetta G57 which struggled with power steering issues as the race ran into darkness towards the end. McKay managed to bring the Century G57 home though, in third place and on the lead lap to win the G57 class which once again saw multiple cars suffer mechanical issues. In the early portion of the race it appeared that it would be Race 2 winners Optimum Motorsport’s to lose after Kyle Masson led the way from pole position, hassled early by just James Winslow in the #52 Simpson Motorsport G57. But Masson was eventually caught and passed by Winslow after 30 minutes of racing and later slipped down the running order after power steering issues forced the team to make a lengthy pit stop and eventually retire the car. The Simpson car also slipped back by the end of the race and finished fifth overall, behind the CWS G57, a lap off the winners. 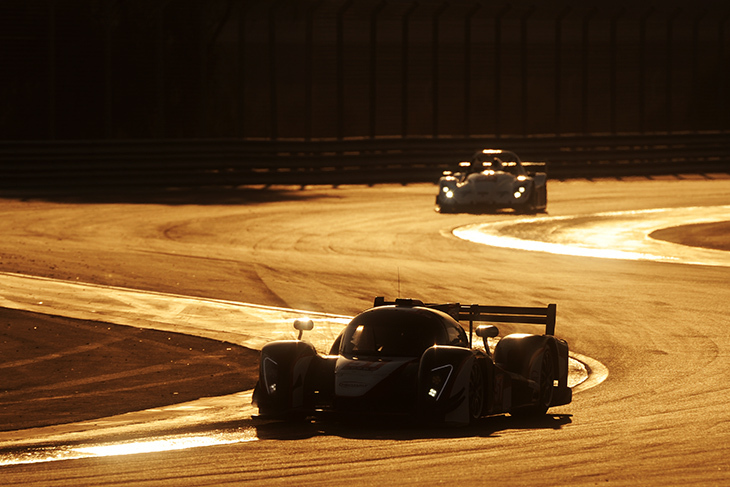 This allowed both LMP3 hopefuls to take advantage after the final stops, when the performance-balancing time limits catapulted them to the front. At the head of the CN field, as was the case in Race 1 and Race 2, the leader hit trouble. This time bad luck bit with 86 minutes to go, as the #46 Avelon Formula Wolf which had its engine expire at Turn 10 with Amro Al-Hamad driving while holding a comfortable lead. In the end the class was won by the AUH Motorsport Radical which had a solid run to the flag. It was an unlikely win, but the class was depleted by the end of the race. The #45 Avelon Wolf and #82 didn’t take part and the #85 Krafft Wolf and #80 GDL Radical retired after they crashed into each other in the opening laps of the race at the pit entry, which brought out a Code 60 period. 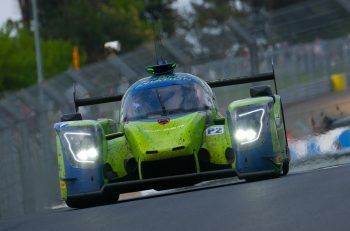 Second was therefore eventually taken by the IDEC Sport Norma which had a quiet run to the flag.